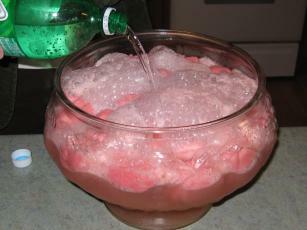 This has got to be one of the most delicious simple punch recipes out there. 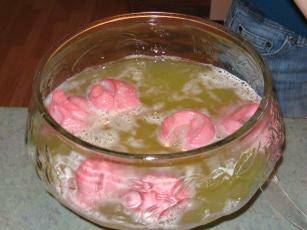 My sister served this at her daughter's baby shower. Thankfully I had my camera along! It is super easy to make and tastes great! Maybe because it is so simple! We have made this recipe many times over the years. It calls for a 46 oz can of pineapple juice, but any large can will do. 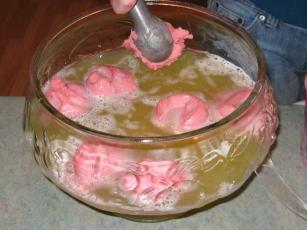 This also fills the punch bowl, serving 16 to 20 people.